Hello crafty friends. I hope everyone has been enjoying some lovely spring weather. I’m here today to share a lovely Mother’s Day card. This pretty tulip from Unity’s KOM “Stay Classy” is stamped on Canson XL watercolor paper with grey Stazon ink. I used my Tim Holtz stamp positioner to stamp my image which by the way works wonderfully with Unity stamps. After my ink was dry I painted my image using Derwent water brushes and Prima Watercolor Confections. I love how the grey ink looks with these type of images instead of black ink because the grey allows the color of the paint to show while creating the look of nice shadows. I then cut my painted image with a stitched rectangle die using my Sizzix BIGkick. How lovely does that word MOM look? It almost looks like I wrote it myself, right? Well actually it’s an alphabet script stamp set by Concord and 9th that you can stamp any words or sentences with, and when you are done stamping it all together it actually looks like you did the hand lettering yourself. There are three different sets and I’ll tell you these sets are brilliant and every crafter should own them. The names of each set are Sophisticated Script, Sophisticated Script Uppercase, and Perfectly Penned. Using one of Honey Bee Stamps sentiment sets I stamped the sentiment “Sending You A Ton Of Love” with black Stazon ink on a piece of vellum. I then used a stitched banner die to cute out the sentiment. To attach it to my colored panel I folded it around the edge adding adhesive on the the part that touched the back of the panel and then securing it in place with a swirly round metal clip. Now that my painted image is ready to go with it’s sentiment and all I adhered it to some fun foam. Before attaching it to my card base I embossed a piece of yellow cardstock with polka dots and attached that. Now that the yellow cardstock is down I attached my image panel using an ATG gun. So, I got it all pieced together but it still needed just a little bit more. I decided to add some black flat back pearls. I decided to keep the inside very simple. I did matte it with some yellow cardstock, so it would match the card front. 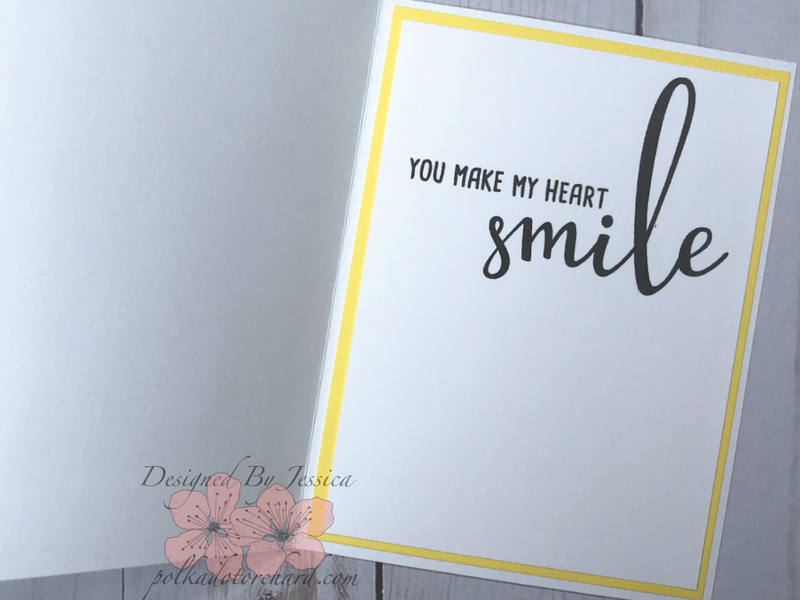 The sentiment “YOU MAKE MY HEART smile” on white cardstock using black versafine ink and Honey Bees stamp set “Smile”. I hope todays post has inspired you to get crafty for the moms in your life. 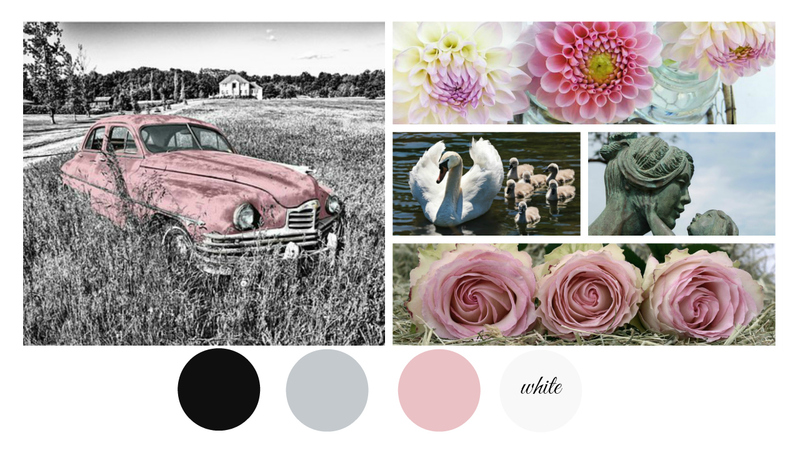 Ooh, how Pretty…. What a lovely Mother’s Day Card! I like the flowers and the Script MOM word… Looks perfect for Mother’s Day! 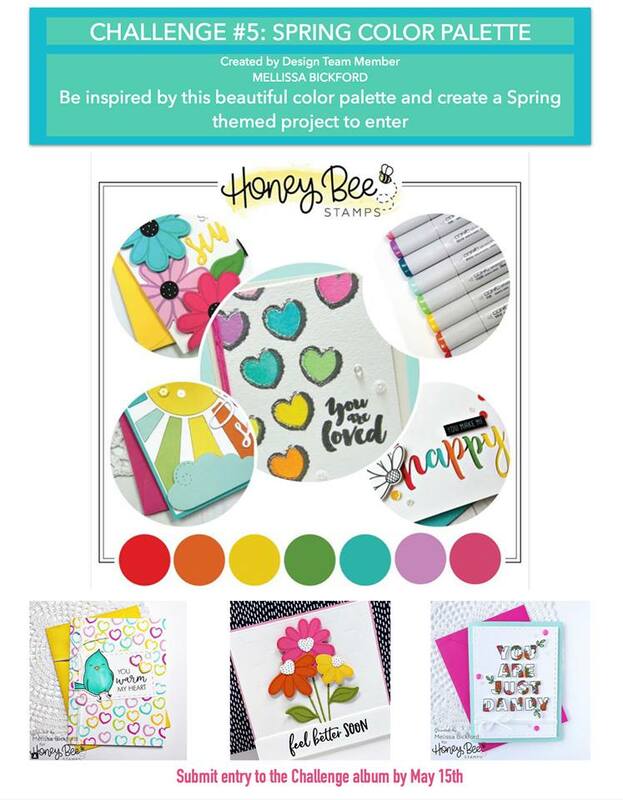 Thanks for joining us over at SumMore Fun Stamp Challenge! 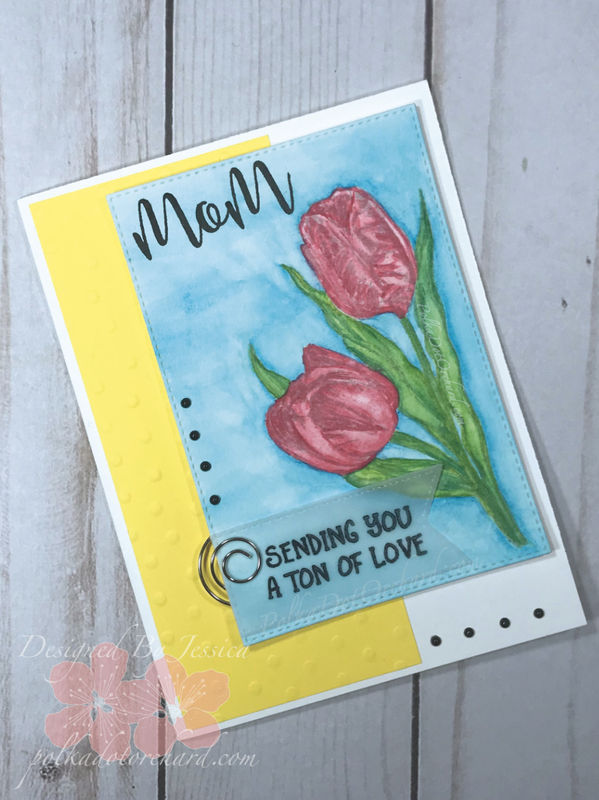 What a beautiful Mother’s Day card, love the tulips and that pretty swirly round metal clip, perfect touch. Thanks for joining us at SumMore Fun! Very pretty! Where does the stamp “You make my heart smile” come from? I would love to find it as it is something I say to my granddaughter!